We stock steel, stainless steel and polymer spreaders that run on gas, hydraulic and electric motors from manufacturers like Fisher, SnowEx and SaltDogg. 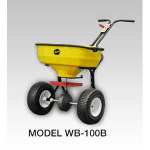 From UTVs to dump trucks, we have spreader solutions for you. 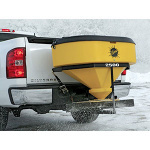 Tailgate salt spreaders: best for smaller vehicles and areas, commonly used by homeowners. Hopper spreaders: 7-10 foot equipment for larger vehicles and commercial areas, including major retailers, municipalities and hospital lots. 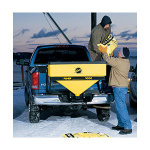 Under tailgate spreaders: removable, attaches to dump truck beds for year-round flexibility. 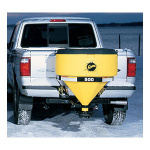 Browse or search our site for a wide range of salt spreader parts and accessories, from replacement spreader conveyor chains, auger bearings, poly spinner discs, hydraulic spinner controllers and spreader vibrators.